If you've been following my blog for awhile, you've probably heard me mention a cousin by marriage who was the inspiration for getting my health back on track by figuring out my food triggers. She told me that, in essence, until you get the food right, you can't get the body right...and boy, did she ever know what she was talking about! 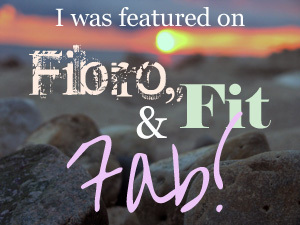 I am thrilled beyond words to have her as a guest today on Fibro, Fit and Fab! Meet Wyndie (who blogs over at Autism Recovered as Wonder Woman, the wife and mother of the "Awesome" family (they use pseudo-names to protect the identity of their children)), a mom who began motherhood years ago carefree just like you and me before the Lord started her on a different journey with her three children, each diagnosed with Autism and severe allergic reactions. Their whole lifestyle changed, beginning with the food they fed their children and themselves. In this journey, which began as hopeless, Wyndie and her family found not only hope, but healing. Now they are sharing that hope with anyone who will listen. Autism is not only treatable, but curable! Please help me in welcoming Wyndie, and please don't forget to show her some comment love! Thanks! Oh, and keep the Kleenex handy...You're going to need it! Seven years ago, if you had peeked into my house, you would have seen utter chaos: one child shrieking at the top of her lungs while throwing herself into the walls and furniture; alternating this between DAYS of laying around sucking her thumb and twirling her hair, too weak to move off the couch. If she did get up, you didn't dare give her something to carry as she would drop it, too weak to carry the smallest item. You'd have heard another screaming his numbers over and over and seeking out any type of dark, tight spot to wrap himself up in to stop the feeling of his body floating off into space. And then you'd have seen a third crawling around on her wrists because she couldn't straighten her hands out and gagging if the wrong texture were placed near her. Had you actually come in the house, you wouldn't have seen one child at all as they would have hidden in terror at the thought that you may actually speak to them. These are only a few of the abnormalities you'd have seen. The wild, crazed (and often vacant) look in everyone's eyes, the distended bellies, the stimming, the posturing over furniture to east gut pain, the obsession with certain foods, the lack of any real communication...all these things were just the tip of the iceberg of symptoms known as Autism, but in reality showed children in serious gut and brain distress. That was my catalyst for understanding food and how it affects us. Autism taught us a lot about food. I was raised on a Standard American Diet (SAD), like most of us, but my obsession with certain foods got VERY out of control and, as an adult, I would just stand at the sugar bowl and eat out of it with a spoon. I was a sugar addict, but I had no idea this was a bad thing. With the birth of my first child, I got a peek at how important that was. He was born with multiple allergies and, by the age of 6 months, he was anaphylactic to touching any dairy product residue. As he grew, he developed more and more allergies. When his sister was born, she was just like him - rife with food allergies. Both children required EpiPens multiple times as we tried to figure out their ever changing food allergies. We finally learned how to manage and keep them safe, but our table food had to change in the process. We could no longer eat out anywhere (going to a restaurant was unthinkable since they had both become so sensitive to dairy products that just getting some of it on their skin would cause an anaphylactic reaction), so I had to learn to cook something more complex than Hamburger Helper and Oreos. They survived on those foods, but did not thrive. They deteriorated into Autism at a very young age...but I still did not understand the importance of food. With the birth of my third child, a friend mentioned "leaky gut" in connection with multiple allergies. I didn't know what that was, but it sounded important. Within a few weeks, I was seeing my friend's doctor who then explained to me that "leaky gut" came from Candida (a yeast overgrowth in the GI tract that can become systemic). I soon learned from my forward-thinking nutritionist that, when yeast is in the gut, it likes to drill holes into the gut lining and that allows food to escape into the bloodstream. The body, of course, recognizes that food proteins should not be wandering around in the bloodstream and sends an arsenal to kill the invader. That particular protein is then marked by the immune system as a danger. When this happens repeatedly, a food allergy can develop and, if the body continues to be exposed to this food, it will mount an auto-immune response and start attacking itself any time that food is near - even when it's not a danger to the body, such as on the skin or when smelling it. The doctor informed me of this, and I realized that my years of eating poorly had manifested itself in my children. Children are not supposed to be born with yeast problems, but here was evidence that they all had been exactly that. Boy, that was a real trial learning how to cook actual food. When I moved away from Hamburger Helper, I still hadn't moved towards good healing food, I had merely moved to food the kids would not react to. Now I had to learn how to cook without anything that would feed yeast, such as sugar, of course, but also starches in excess and yeast. Adding those to the list of foods the kids were allergic to was staggering, but I had a great nutritionist who helped me make the changes. 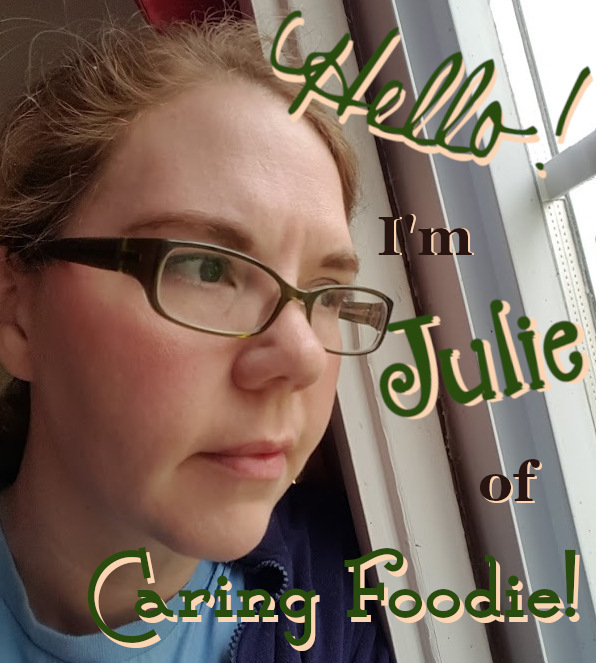 She taught me to keep a food journal and note everything the children ate and how they reacted via skin, behavior, sleep, bowel movements and anything out of the ordinary at all. I was nursing my youngest during all of this and went on a healthy diet along with them. As I learned what foods were good for my children and which weren't, I stumbled upon the Body Ecology Diet. There I learned about foods that actually heal a leaky gut and what healing foods actually were: not foods to fill the stomach, but foods to heal the immune system. This was fascinating news to me and (honestly) the thing that drew me to this diet in particular was not only the diet itself, but one of the most important principles of this diet - uniqueness. I knew no one more unique in their allergies than my children. 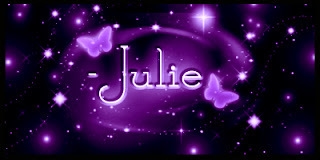 Every diet I had tried for Autism before was a failure since my kids were allergic to most of the foods on those diets. I was told repeatedly that if I couldn't do all foods 100% not to bother with the diet. Well, I wasn't going to feed them food they were allergic to, so I couldn't do them! But Body Ecology acknowledges the uniqueness of each individual and I learned I could ferment foods that my children could eat, and that would be the beginning of balancing their gut bacteria. I could also implement the parts of the Body Ecology Diet that worked for my life and that I could do it slowly and step by step. Just what an overwhelmed mom needed to know! As I worked to get healing foods into my children, I learned more and more about food. I learned that genetically modified foods (GMOs) were not safe for consumption, although they were very common and inexpensive. I learned they are especially dangerous to those with auto-immune disease, and that they can even cause this very disease process in the body. I learned that pesticide can damage the immune system and foods raised non-organically are highly sprayed. I learned that excitotoxins were very common in processed foods and that those actually make brain cells vibrate. The more I learned, the more I realized my children had to eat real food or they would never heal. Today, 7 years later, my children are healed. They have been for a few years now. They still have allergies, but they don't have Autism. Folks who didn't know them back then don't believe they ever had it; they are as neurotypical as they can be now. There were many other things we did to bring them to total removal of Autism, too, but food was the bottom of the pyramid - the building block we used as a catalyst for all other modalities of healing. They still eat very healing foods every day. Our rule of thumb is that if a food is going in their mouth, it has to be a healing food. All foods either heal or hurt. There are no neutral foods. What you eat day after day has a bigger impact on you than you may realize. Research your food before you eat it. It affects you and your offspring. My children's ill health began with me because I did not think of my food, I just snarfed whatever was yummy. Think before you eat. Listen to your body and pay attention to how you respond to food. Do you get sleepy after eating gluten? Do you have emergency bathroom trips after dairy? Do you feel foggy headed or get a headache after eating a donut? This is your body's way of saying it doesn't digest that food properly. Pay attention. You'll reap huge rewards in your own health and maybe even your child's if you do. Thanks again for joining us, Wyndie! I have learned that eating healthy may very well be the cure for many illnesses. Kudos to you for working through this. So many would have given up the fight. Thank you! So many parents work equally hard without these amazing results. We are blessed indeed that they healed. My hat's off to you for figuring out what helped your family. Your story is so inspiring! That's so inspiring. My girlfriend's son has autism and I know how hard it is. Please share our story with your girlfriend. Every child can improve with dietary changes, even if they don't find complete healing. I have just recently started reading about how foods can truly affect us, especially kids. It started as a journey of writing down what my son ate each day and how it might affect his bathroom trips, and later his sleeping patterns.